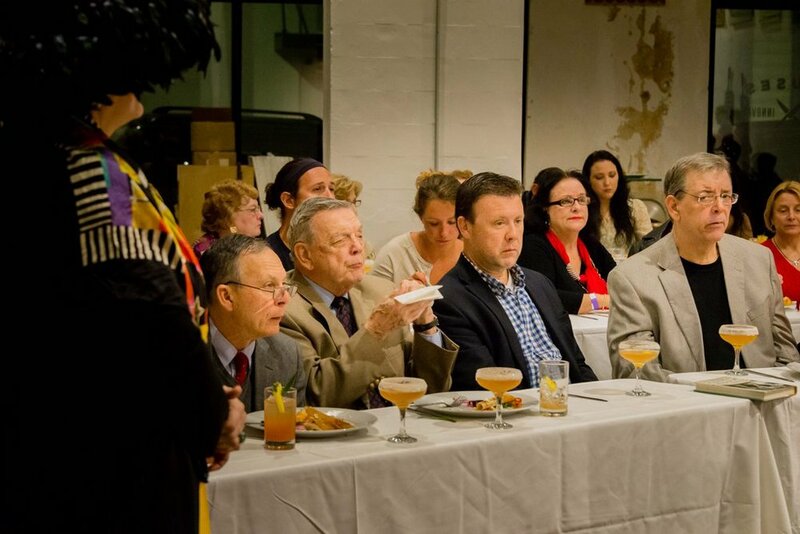 It was a big night on for the Southern Food and Beverage Museum and The Museum of the American Cocktail when we welcomed King Cocktail, Dale DeGroff, to the re-installed MOTAC New Orleans Collection. Dale and SoFAB's own Philip Dobard entertained the crowd with songs, stories, and cocktails for the debut of Touring the Cocktail: New Orleans. Then we re-dedicated MOTAC's New Orleans collection with many founding members and, of course, more cocktails! Delicious bites from Restaurant Purloo and Executive Chef Ryan Hughes rounded out the evening. Thanks to everyone who came out to celebrate. See more photos from the evening here. All photos courtesy of Stephen Binns. Master Mixologist Dale DeGroff, aka King Cocktail, developed his extraordinary techniques and talent tending bar at great establishments, most notably New York's famous Rainbow Room, where in the '80's, he pioneered a gourmet approach to recreating the great classic cocktails. DeGroff has since been credited with reinventing the bartending profession, setting off a cocktail revival that continues to flourish. 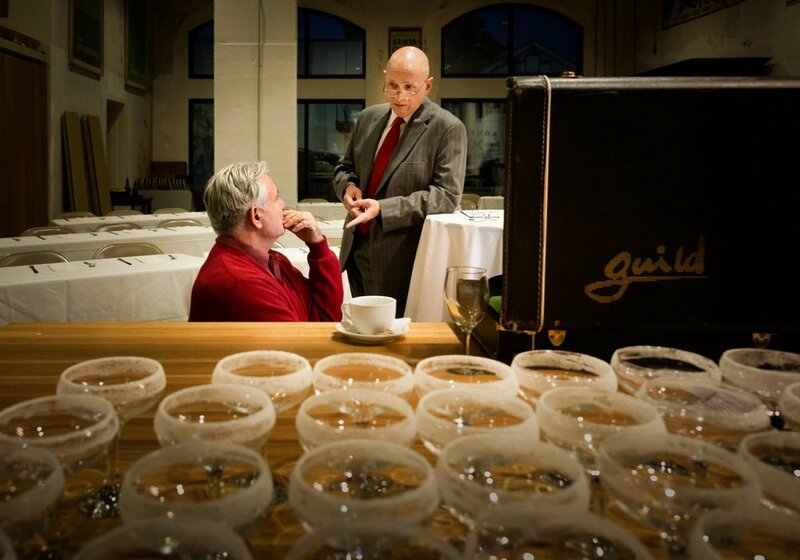 Winner of the James Beard Award for Wine & Spirits and author of The Essential Cocktail and The Craft of the Cocktail (Random House), DeGroff's enormous influence in the bar world has spanned three decades. 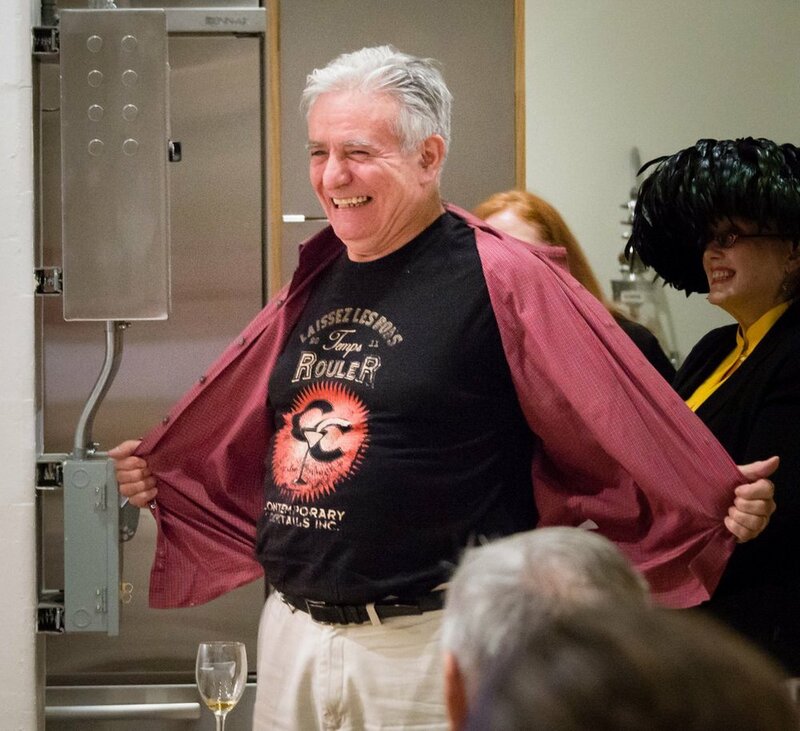 He is also a partner in the award-winning bar training program, Beverage Alcohol Resource(BAR) and founding president of theMuseum of the American Cocktail. Saloon singing and storytelling is another passion of Dale's. His popular presentation:ON THE TOWN; Bars, Speaks, & Legendary Saloons has been performed in over two dozen cities around the world. Learn more about Dale here. Philip Dobard is Vice President of the SoFAB Institute, home of The Museum of the American Cocktail, and plays an integral role in all its programs, directs the organization’s Los Angeles-based West Coast operations, publishes SoFAB Magazine, and produces Farm to Table International, the CULINARIA Query & Lecture Series, and Touring the Cocktail, a multi-city series of spirits education seminars. Under the SoFAB Media banner, he’s executive producing several web series, among them Drinking Heads, Eating Heads, Touring the Cocktail, and World Eats. He contributes to The Tasting Panel Magazine and frequently judges at food and drink competitions across the US. He completed graduate studies at UCLA, is an advisor to the Art Institute of California, Los Angeles, and serves on the Board of Golden State of Cocktails, an annual festival celebrating California’s spirits culture.